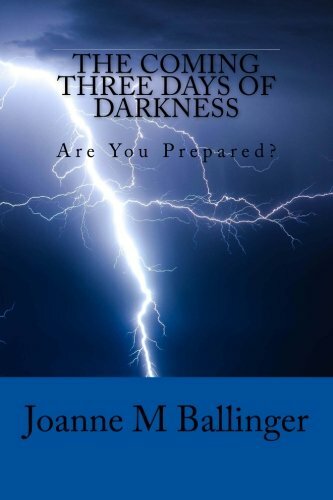 What is the prophecy of the three days of darkness? Sacred Scripture, saints, and prophets, have foretold days of darkness to encompass the earth towards the end of times. What is the significance and meaning of this prophecy and are there current signs of the approaching darkness? Will demons be released from hell? Why is the number three significant? Are there ways to prepare for this dark prophecy? In this compelling book, author, Joanne Ballinger, examines these prophecies of the impending chastisement. Current events indicate this prophecy is closer than ever! We are living in dangerous and turbulent times. Divine Justice is imminent! Joanne Ballinger lives in the Southern California Desert amongst the coyotes, roadrunners, and bobcats. She's an outdoor enthusiast, wife, mother, devoted Catholic, business owner and author. Joanne started her career in law enforcement and is now a business owner devoting more time to writing.